I’m excited to share this free printable frog theme sight word book. 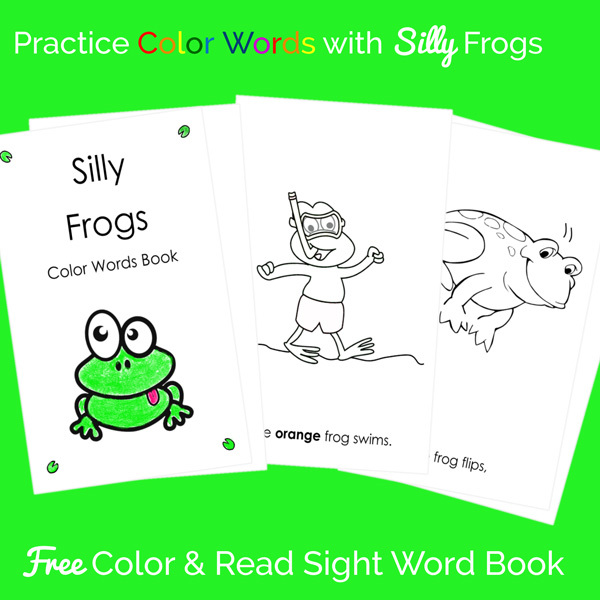 It’s just right for preschoolers and kindergartners who’re ready to learn color words. 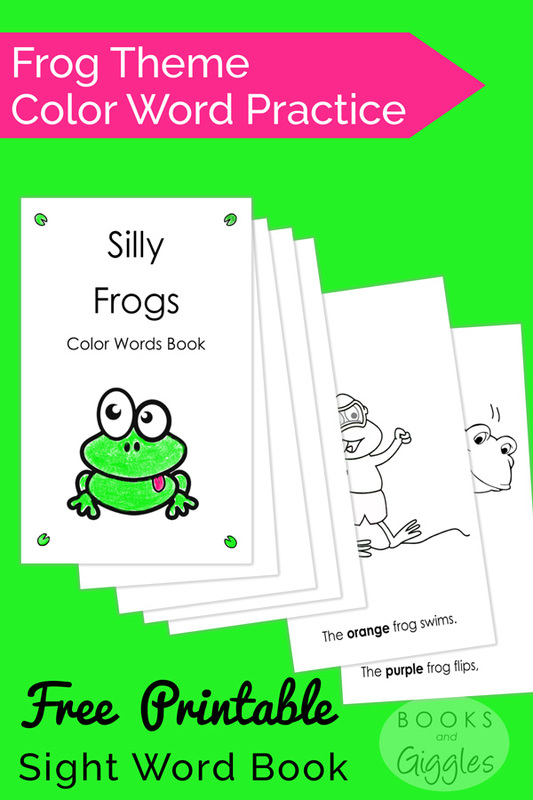 It’s an interactive booklet – kids can color the pages themselves. 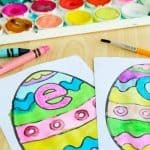 Reading the color name and then coloring the corresponding color can help reinforce these words. The story has a silly ending, courtesy of Isabella and one of her friends. I was writing out the rhymes, and trying to think of how to end it. The girls made an unexpected suggestion and collapsed in a fit of giggles over it. 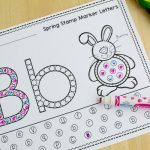 So if your little one has a funny bone, this particular color word reader may be just the motivator you need. Print it out here. It’s 12 half-pages long. If you can manage to print it front & back, that’s only 3 sheets of paper. 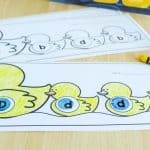 You may also like to pair this with our free printable Ladybug Game – it works really well for practicing sight words. 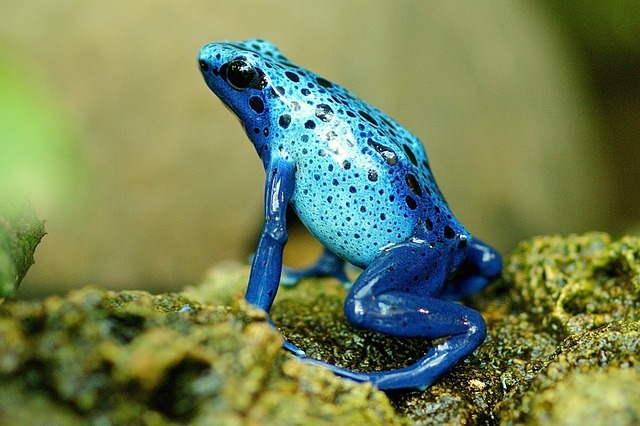 By the way, frogs really do come in a wide variety of colors. 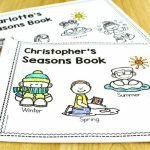 I’m not sure if they come in every color I used the sight word book, but it’s close! The American Museum of Natural History’s website has a lot of cool info and photos that you could share with your kids. 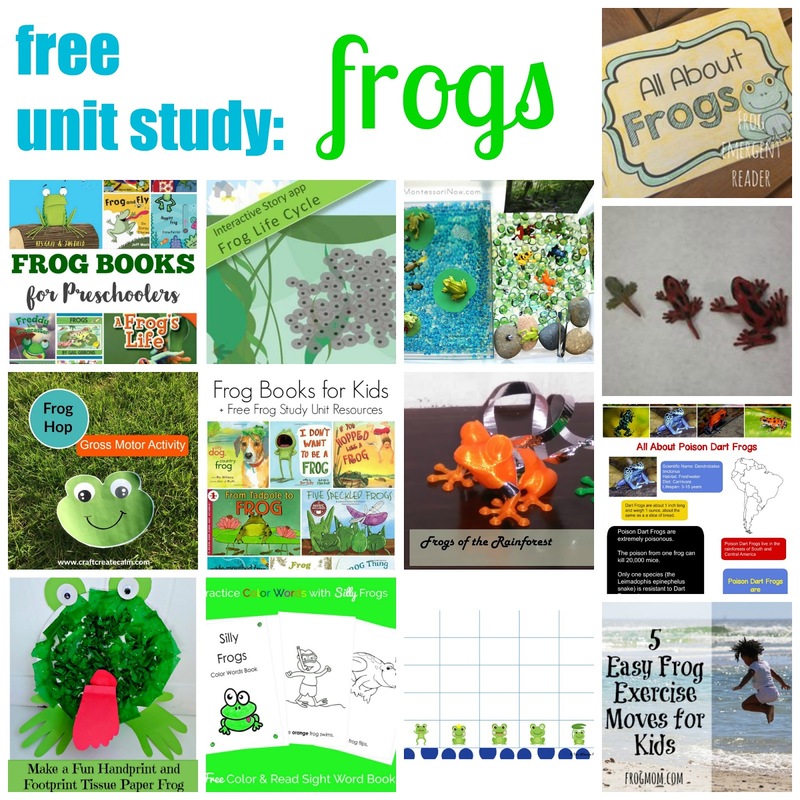 Be sure especially to check out their free printable frog guide. This is really cute! I love the last two pages – an oinking frog.